The Constitution (One Hundred and First Amendment) Act, 2016, popularly known as the GST amendment, marks the beginning of a Constitutional experiment that will put our federal character to test. A few major Legislative heads, which earlier fell within the independent and sovereign realm of individual legislative assemblies, have now been replaced by a legislative power that will ideally have to be exercised in unison by the States and Centre and the States inter-se if the integrated system that has been envisaged is to work out. The drastic effects of these amendments on the revenue and revenue-generating avenues of the Centre and the States meant that discussions surrounding the amendment predominantly concentrated on the sphere of revenue of the federal units, the sharing and distribution of revenue, constitution and decision-making powers of the GST Council, capping of tax rates etc. In this melee of discussions and debates, questions regarding the effect of this amendment on the design of and power dynamic under the Constitution, failed to find any takers. The Constitution, by design, enlists heads of legislations, including taxing heads, in the Seventh Schedule. Post the 101st Amendment, most heads dealing with indirect taxation have been removed from the Seventh Schedule and consolidated into a single tax head titled Goods and Services Tax, leviable on the supply of goods and services by both the Centre and the States by Laws passed by their respective legislatures under a newly added Article 246A. To decide on a unified GST rate and the rate at which taxes would be split between the Centre and the States, a GST council has been constituted to give recommendations to the Centre and the States on these issues. The constitution of the Council and its decision-making mechanism are laid down by the Constitution itself. This post seeks to bring to light a certain devastating effect that the 101st Amendment has on the design of the Constitution and consequently on the Federal balance under the Constitution. A Constitutional Amendment under Article 368 of the Constitution is a vast power of very wide import that permits the Parliament to effect changes to any portion of the Constitution. There are two checks that’re imposed on this power. First is the judicially developed Basic Structure Doctrine. Besides this Article 368 itself contains a procedural check by entrenching certain provisions of the Constitution and requiring ratification from half the States in order to amend those provisions. These entrenched provisions deal with matters that have an effect on the federal balance and federal system. The Seventh Schedule, comprising of heads of legislation, being an important feature of this balance and system, is also entrenched by Article 368. As the 101st Amendment removed and altered certain heads of legislation under Schedule VII, it had to be ratified by half the States. The heads of legislation that were removed from the Seventh Schedule have been consolidated into on head of legislation contained in a separate Article, Article 246A. But surprisingly, Article 246A has not been included in the entrenched list under Article 368. The unusual situation that has now arisen as a result of the amendment is that, an amendment to the power to levy, collect and appropriate the new Goods and Service Tax can be carried out without requiring ratifications from the States. It’s rather strange and disappointing that while Article 279A which deals with the Constitution, duties, decision-making mechanism etc. 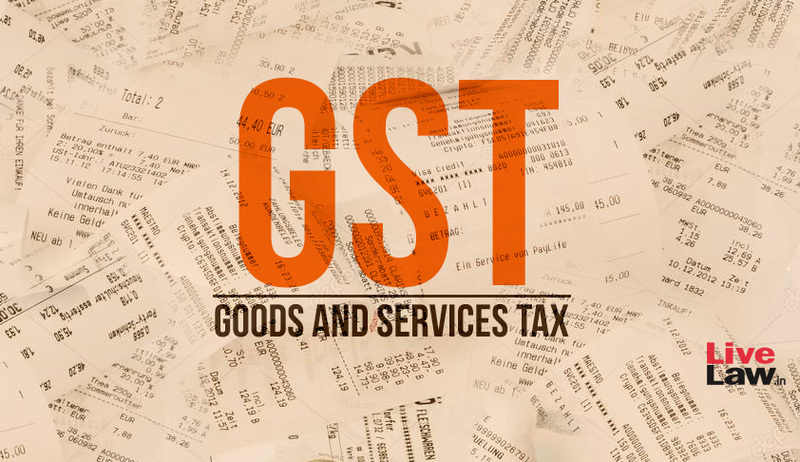 of the GST council has been included in the entrenched provisions of Article 368 by the 101st Amendment, the charging provision Article 246A that empowers the Parliament and State Assemblies to impose the GST, has not been entrenched. The author has two concerns with this non-entrenchment. Firstly, it gives allows the Parliament to amend the power to impose, collect and appropriate GST. That means, with a sufficient majority, Parliament can even convert GST into an exclusively Union levied and appropriated Tax, and there would be no Constitutional check on the same. While such an extreme step maybe resisted through political civil-society organised pressures, it remains the case that the State Governments’ sovereign power to levy and collect GST maybe scrapped, progressively denuded or re-engineered, unilaterally by the Parliament without procuring any ratification from the States. Secondly, if let to persist, such use of the power to Amend under Article 368 would set a very dangerous precedent. Under our Constitution, the Union and the States exercise sovereign powers in their respective fields of power. While the power to amend the Constitution is conferred to only to the Parliament, where any such amendment affects the federal character, ratification of a majority of the State Assemblies is required. This requirement of ratifications itself constitutes an essential mechanism of maintaining the power balance under the federal system of our Constitution and is hence an important facet of the federal design of our Constitution. If the mutilation of this design by the 101st Amendment is taken as a precedent to effect other similar amendments, we might witness a gradual re-configuration of our federal character with a wide variety of heads of legislation being added or shifted outside the realm of Schedule VII and not being included in the list of entrenched provisions under Article 368. Even if there is no deliberate ulterior motive and this is just purely a case of poor and uncreative draftsmanship, the ramifications are disastrous. It is an irony that on the one hand we are introducing the GST, a landmark experiment in co-operative federalism, while on the other, through the very same amendment through which the GST is being given Constitutional force, we are taking the first step towards dismantling an important component of the federal structure under the Constitution.